Every Day Optimal may be one of the lesser known CBD brands out there, but that doesn’t mean they don’t have a high quality offering of products. In fact, there are many things that set them apart from the rest of the pack, and I’ll explain that today in my Every Day Optimal Review. Use this 10% off Coupon to save money. Derived from industrial hemp and being 100% pure, you’ll find that Every Day Optimal is yet another brand I’ve sampled without heavy metals, pesticides, and other contaminants. 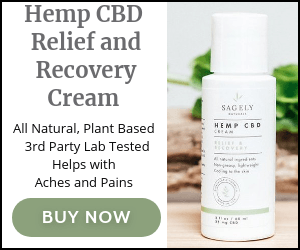 While you can get the benefits of CBD without the THC (the high), you can buy these products online and have them delivered direct to your door in the USA entirely legally. Every Day Optimal claim that their products are derived from industrial hemp and are 100% pure and free from contaminants, pesticides and heavy metals. Their products contain zero THC and are therefore safe to buy online from anywhere in the USA. Stressing the ability to treat problems such as the ones listed below, they really harp on the positive things that adding CBD can do to your overall well being. Pure CBD Capsules – cbd oil capsules in 10, 15, 25, and 50 mg dosage levels. No additional ingredients. They also make three types of specialty capsules. These are blends that have ingredient decks that change depending on what your needs are. Fibromyalgia Capsules – sold in 25mg of pure CBD (each capsule), you’ll reap the additional benefit of 17 vitamin and mineral additions that will boost your ECS system. Sleep Aid Capsules – sold in the same dosage (25mg), you’ll get an additional mixed blend of vitamins that promote better sleep patterns. (B-Phenyl-Gamma, L-Theanine, N-Acetyl-5-methoxy Tryptamine, Piper Methysticum, Scutellaria, Passiflora, Melatonin). D-Stress CBD Capsules – a mixture of anxiety and stress, these are also filled with 25mg of pure CBD in each capsule. You’ll get the added bonus of stress relieving ingredients such as Magnesium, (which is also tremendous in lowering your blood pressure) Calcium, Magnolia Bark, B-Phenyl-Gamma, L-Theanine, Piper Methysticum, Passiflora, and Scutellaria. Some CBD brands decide not to get into the edibles category, which I think is a mistake. Sure, capsules are nice and handy to take around and consume whenever needed, but there is just something soothing about taking a gummy and enjoying it a bit more, thanks to the sweetness. Selling pure gummies without and added chemicals or ingredients is always a plus, so I was happy to find out that Every Day Optimal sold bottles of thirty gummies that didn’t contain any of that extra crap. Just pure, natural, goodness! They are not coated or sprayed like other brands, and they are made with a homemade recipe that is free of glutens and other artificial ingredients. 10 mg: great for back pain, headaches, and mild anxiety. 15 mg: good for moderate or chronic pain, great alternative to CBD tinctures. 25 mg: treats all of the above, with more punch, as well as sleep problems like insomnia. Also reduces symptoms of fibromyalgia and arthritis. Not many companies make a chewing gum, so I’m glad that EDO did. I’ve taken a liking to these because they get into your system at a slower pace. You will also benefit from a higher absorption rate over a longer duration of time. While these may be on the weaker side of the dosages at just 10mg, they are very convenient and a solid alternative to Advil. The idea here is that by chewing gum you will release the CBD into your system slower. This means a higher absorption rate over a longer period. These only contain 10mg and are worth taking if you are into chewing gum (which I’m personally not). You’ll find that tinctures are quickly absorbed into the body. Once you drip the CBD oil beneath your tongue, it’ll act very fast. You can also add this to a drink – or even food – but it won’t absorb as fast as taking it under the tongue. A full serving is just half of a dropper. If that doesn’t work, you can always add more. Some people have different tolerances and of course, we are all built differently. Cult fans of CBD oils gravitate towards the tinctures, while the more recreational and first time users tend to pick edibles. 300mg – soothes, relaxes, and calms. Great for relieving stress and chilling out. A great place to start for beginners, but not suitable for medicinal uses. 600mg – double the potency and better for regular users. 1000, 1800, 2000mg – very strong and amazing at treating anxiety, pain, or even depression. Don’t take this if you are simply looking to relax. 4000mg – fast acting and delivering a serious kick. The best option for pain and for situations where you need something to act fast. Just released: 10,000 mg tinctures! If you are into vaping, you’ll be happy to hear that you can vape Every Day Optimal CBD vape oils. Related: Read which CBD vape pen is best. Offering two dosage levels of vape oil (300mg and 1000 mg), each e-liquid is made from 70/30 VG/PG. That’s vegetable glycerin and propylene glycol for those of you who aren’t into vaping terms. Currently offering three flavors, you’ll get to pick from Honey Melon Kush, Strawberry Cream, and Marshmallow Magic. It’s no secret that I’ve sampled many different CBD brands. Manufacturers literally throw themselves at me to get me to say good things about them. While I am looking for advertisers, my opinions can never be purchased, and I’m a guy who believes in disclosures. This brand caught my eye because they actually designed their products to treat certain conditions, such as anxiety, fibro, stress, and lack of sleep. By identifying those conditions, and educating consumers, like they do on their website, you can see that they are far from a fly-by-night profit center and they are here for the long haul. I respect that, and more importantly, I enjoy their products. Compared to other brands, their offerings of edibles and gummies are par for the course. You’ll find gummies at triple the dosage over at Hemp Bombs, but you’ll find them winning when it comes to tinctures with their newly released 10,000mg dosage. That’s higher than Lazarus Naturals, HempWorx, and every other major brand I’ve reviewed so far. I have not seen a higher dosage for sale online! It’s a bonus that they offer e liquid vapes, as some people are really into that. Some would argue that they should have more flavors, but merely offering that sets them apart from other brands. Offering pure CBD derived from industrial hemp is something I demand when I buy CBD oils. The fact that they are tested by a third party makes it even better. It’s all pure, safe, pesticide-free. I fully recommend this brand to anyone looking for a CBD brand to call home, especially when it comes to treating certain ailments and buying tinctures.